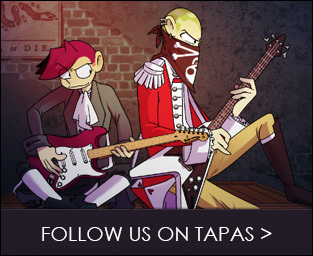 March 19: Unexpected break from The Paul Reveres, apparently. Sorry about this, but I’ve gotten really busy and haven’t had the time the comic needs. 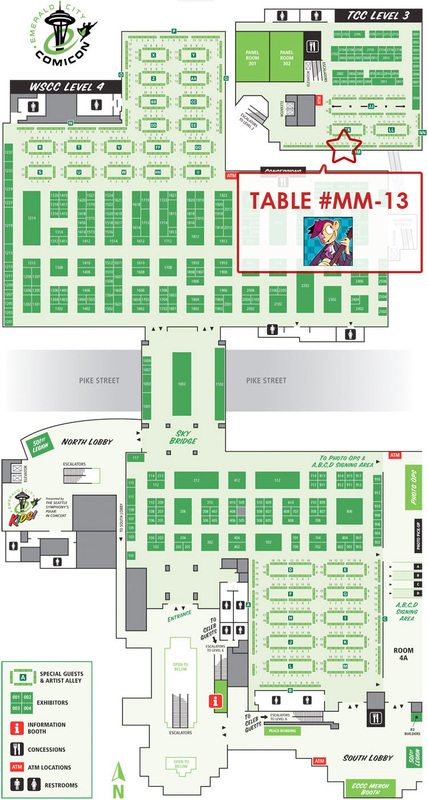 I’ve been preparing for upcoming comic shows, Anime Boston in Boston, Massachusetts (March 21-23, Click here for AA placement map), my first west coast appearance at Emerald City Comicon in Seattle, WA (March 28-30, Click here for AA placement map), and Asbury Park Comic Con in Asbury Park, NJ (April 12-13). 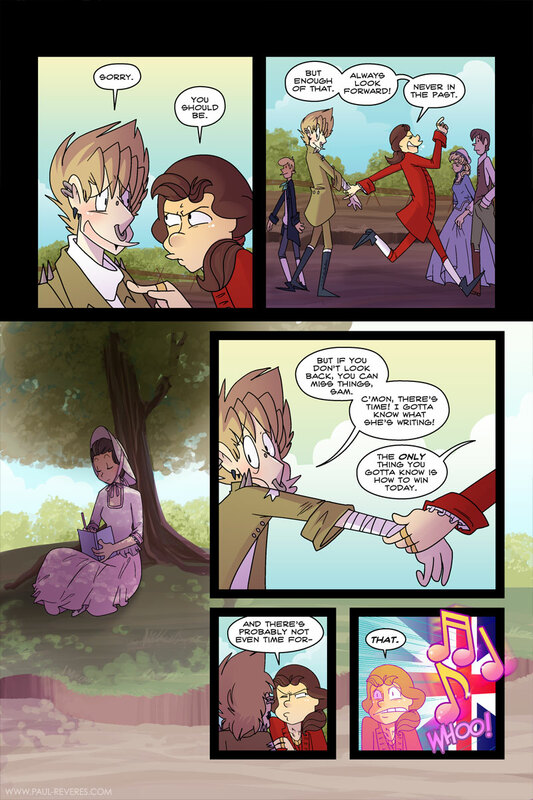 I’m not bringing a ton of Paul Reveres merch to Anime Boston this weekend. Probably just books and some small items. If you’re looking for something in particular, let me know and I can make sure I bring it. 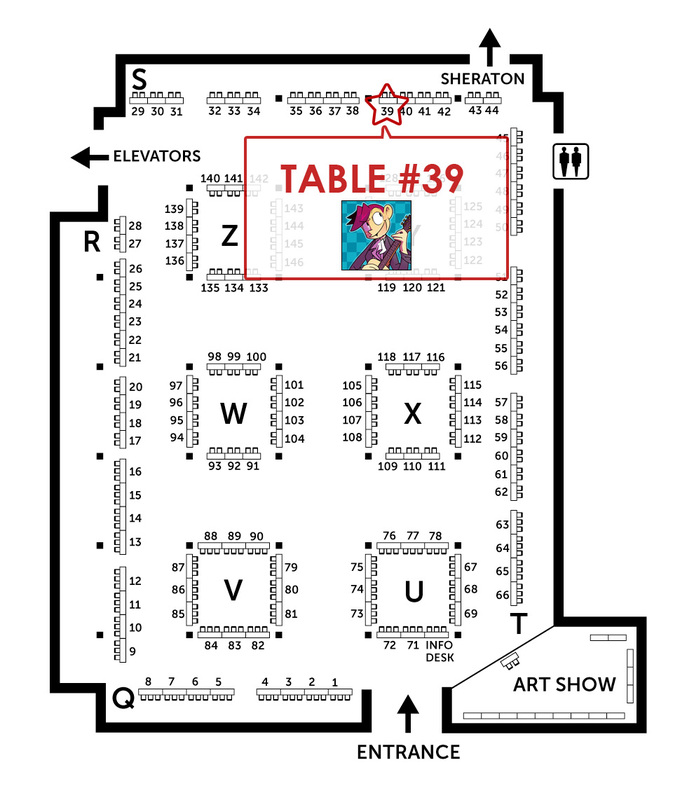 I’ll be sharing a table with my sister, so I’ll have a bunch of new fan art things like prints, tote bags, buttons and some rad puppets my sister made. 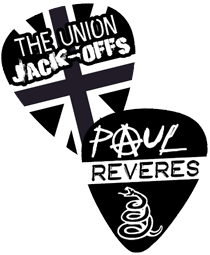 Once I get back from doing all these shows, The Paul Reveres will pick up with full force again. I’ve had the next page half done for the past three weeks. 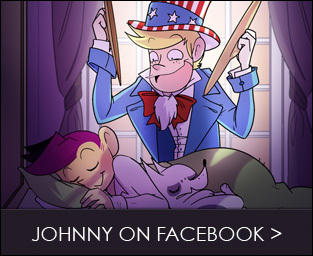 I’ll be updating on twitter and Johnny’s facebook when updates resume. Thanks for sticking around! Sorry about the lack of updates the past few weeks. Lots of personal stuff and tight freelance deadlines to deal with. Things should be getting back to normal fairly soon. In other news, I wanted to share an event happening in Cambridge, MA on March 8th: History Camp. It’s a free all day event listed as the first unconference ever on all things history, including my favorite, our favorite…. The American Revolution… and some other goodies: John Singleton Copley, The Post-Revolution New England Migration, The Erie Canal, Political Music, The Temperance Movement and Suffrage, Becoming a published author, Researching Women on April 19, 1775, and a bunch of other cool stuff you nerds are gonna love. I’m gonna be there. I designed the t-shirt, so you know it’s rad. Thanks! Thought it was time for a change!